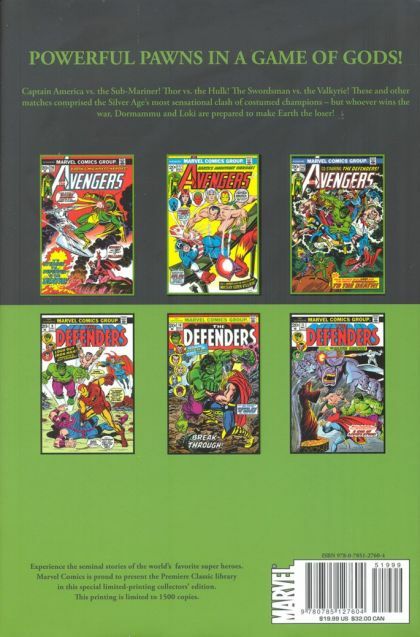 Written by STEVE ENGLEHART Penciled by BOB BROWN & SAL BUSCEMA Covers by SAL BUSCEMA & JOHN ROMITA SR. Captain America. Iron Man. Thor. Doctor Strange. Namor. The Sub-Mariner. The Hulk. The world's greatest heroes at the forefront of its two most titanic teams! But when the dread Dormammu and the lying Loki manipulate the Defenders and Avengers in an effort to obtain the awesome Evil Eye, the groups' first team-up is almost their last! Hero vs. Hero across the world, with world-destroying power as the stake! Guest-starring Sunfire and Prester John, later of Cable and Deadpool fame! 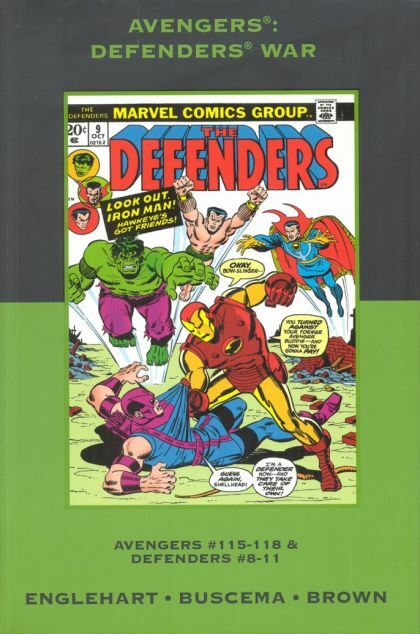 Collecting AVENGERS #115-118 and DEFENDERS #8-11.